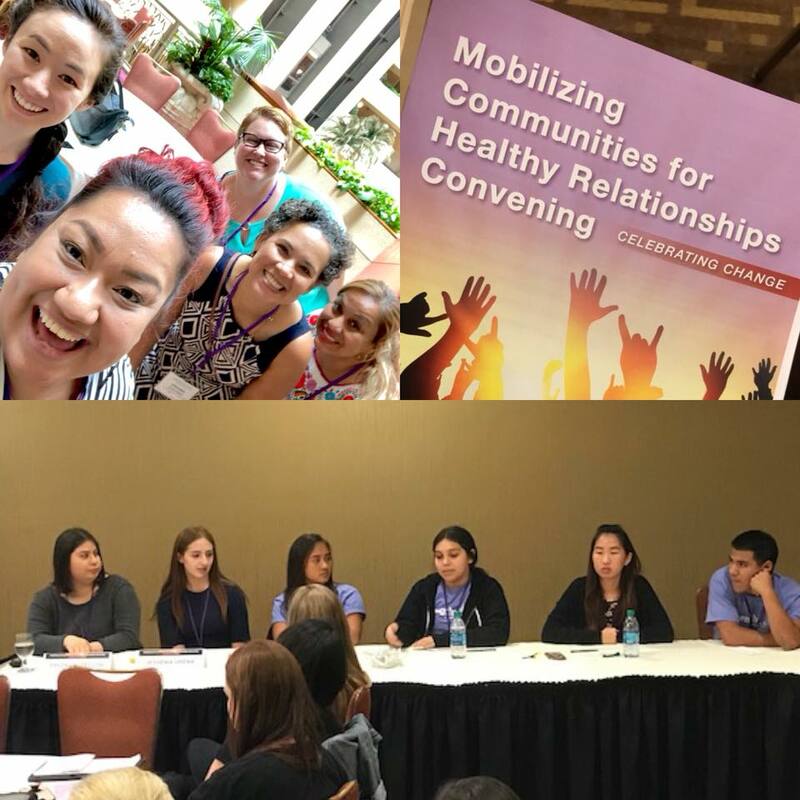 On Friday June 29th, I attended a conference on Mobilizing Communities for Healthy Relationships Convening in Sacramento, the state capital. As I was registering and checking, in the woman at the registration table questioned if a youth like myself should be able to attend the conference. This encounter made me feel slightly invalidated because the woman repeatedly talked over me to showcase her authority. As we entered the conference to listen to the welcoming and keynote speaker, Jessica Roma, I tried to keep in mind that one bad encounter would not set the tone for the rest of the conference. After the keynote address, we attended the workshops and I discovered that the workshops were all youth led. Each workshop summarized the progress and various goals the organization has achieved so far. I especially enjoyed the youth panel as it was youth focused and did not have as much adultism/ageism as the rest of the workshops did. Throughout the day, attendants of the convention could contribute to a beautiful art piece that would symbolize the collaboration and intersectionality that would happen if resources were pooled together to fight against relationship violence. Much to my disappointment, the unveiling of the collaborative art piece was not an inspiring moment. As the cloth was pulled back from the art piece it revealed an additional layer of pink and green hearts painted over the distinct art pieces people contributed. The moment I saw the hearts painted over the unique pieces I became quite disheartened because it demonstrated how the white narrative will continue to dominate in spaces that strive for inclusivity and diversity. The hearts ironically symbolized the smothering of diverse opinions and failed to accurately portray a representative group of people. At the end of the day, we all gathered together for a round table discussion of the day’s events and to debrief everyone’s experience. As we were sharing a word that summarized our enlightening experience I chose the word “good” because I could not find a word appropriate enough to encompass my time at the event. To conclude, the event was a meaningful experience for the youth who presented but my personal experience was of a conference that lacked the diversity and inclusivity it promoted. This entry was posted in YAC News and tagged awareness, community, community organizations, dating violence, domestic violence, Sacramento. Bookmark the permalink. ← YAC PRESENTS IN SAN FRANCISCO CITY YOUTH CONFERENCE: ONE CITY, ONE VOICE!